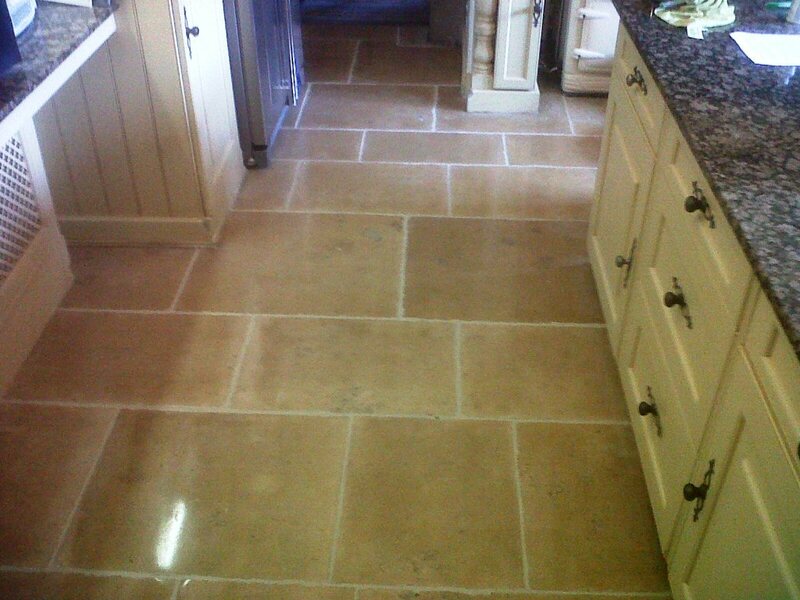 This Limestone tiled floor was installed in a Kitchen at a house near Burton on Trent. 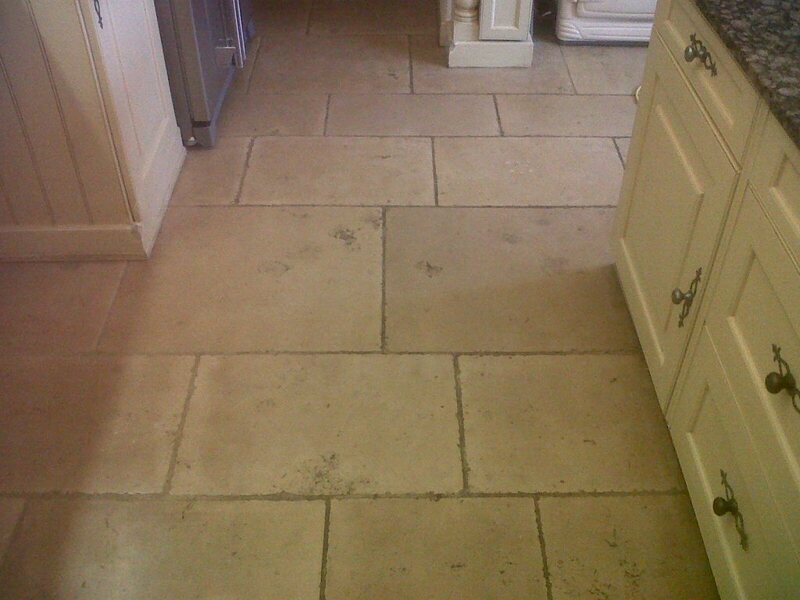 You can see from the photographs below that the Limestone had lost its polished appearance and was trapping dirt on the surface including a few stubborn marks; the grout was also looking grubby and dark. 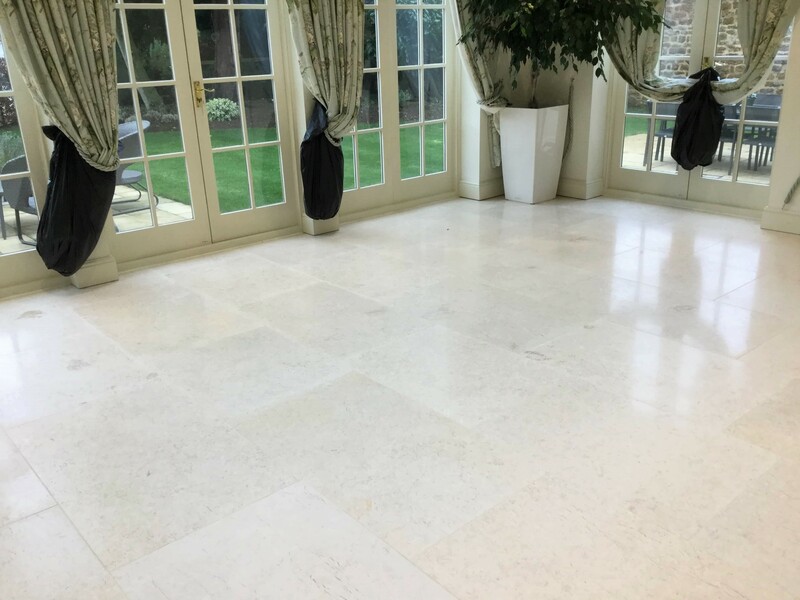 Restoring the shine on a polished stone such as Limestone, Travertine or Marble requires the surface to be stripped back and then buffed, which we did by using a set of burnishing pads. 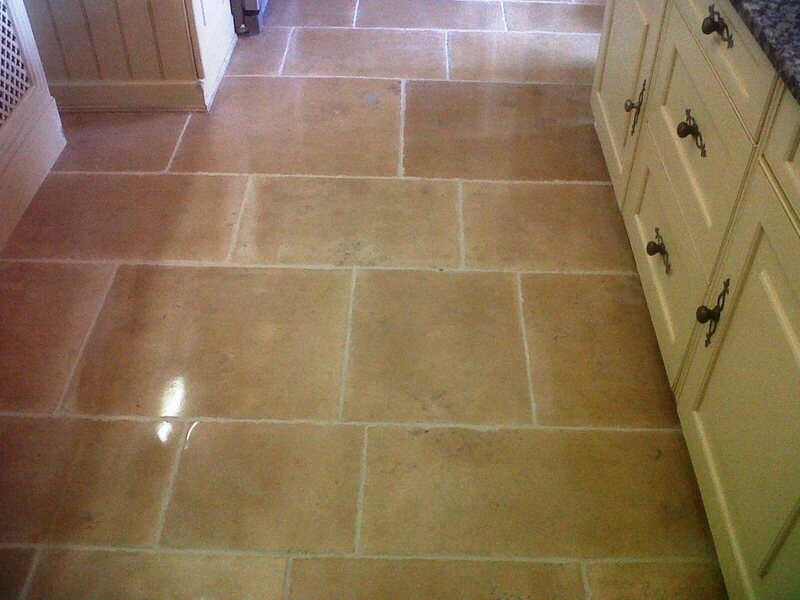 These diamond encrusted pads come in different grade sand each one does a different job from scrubbing to polishing. 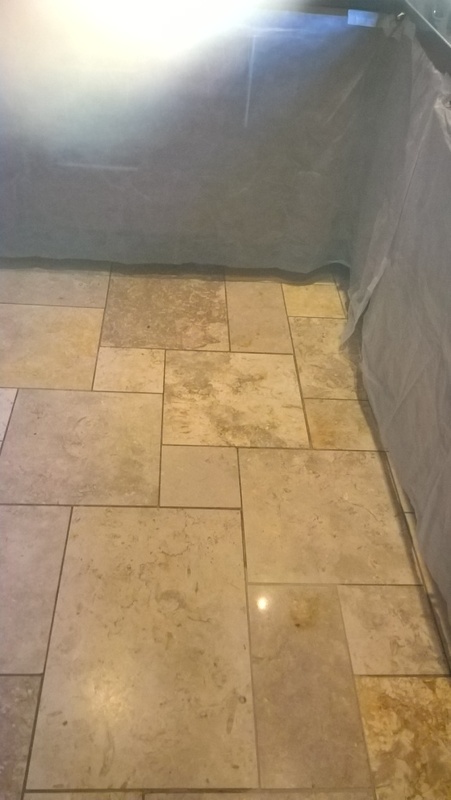 I started with the course red pad together with a little water and then carried on with the white, then yellow pads again using a little water removing the soiled water along the way. 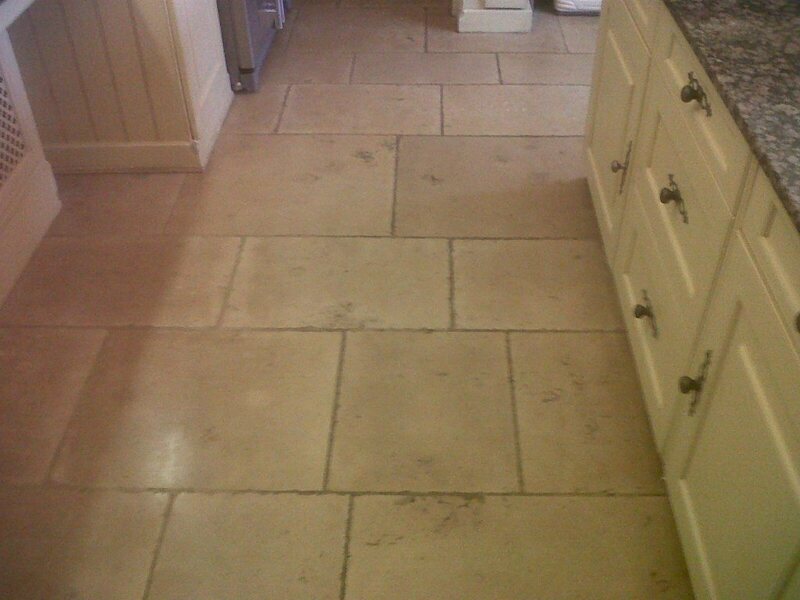 Finally when I had dried the floor I used a green pad to buff the floor up. This activity took most of the day so left the floor to dry off overnight. On our return the next day the floor was given a quick wipe with a damp mop to get remove any debris or dust that may have landed on the floor overnight. 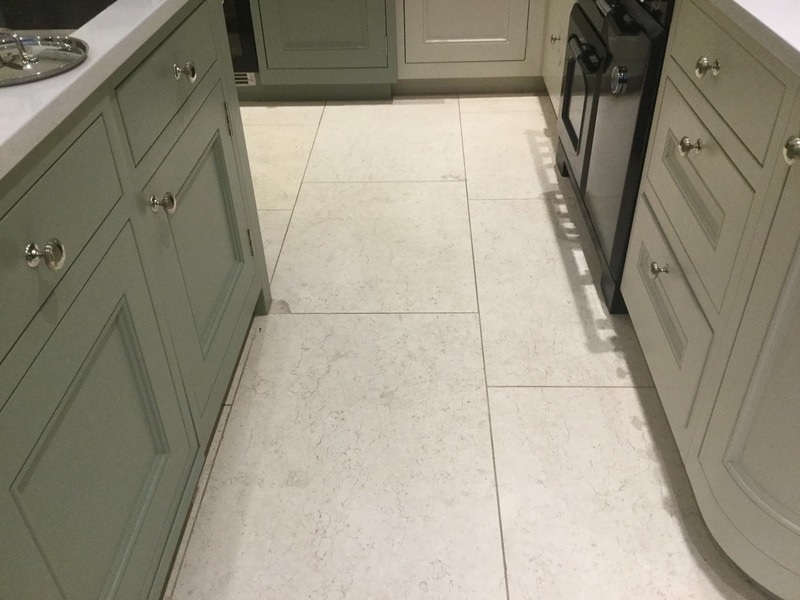 This soon dried and we were able to apply two coats of Tile Doctor Colour Grow which is a specially designed stone sealer that brings out the deep colour of the stone. 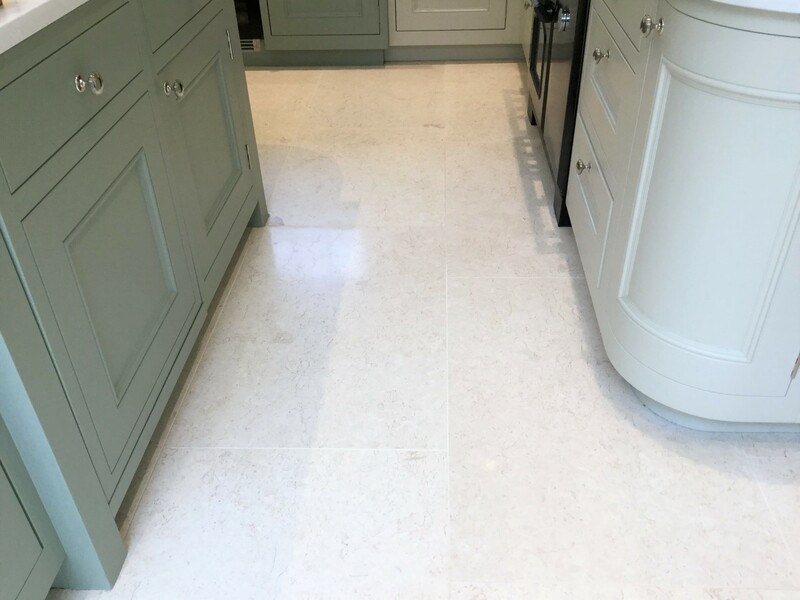 Once this had dried it was given a quick once over with a white buffing pad fitted to a rotary machine on a slow speed, this step ensures any excess sealant is removed off the tiles. 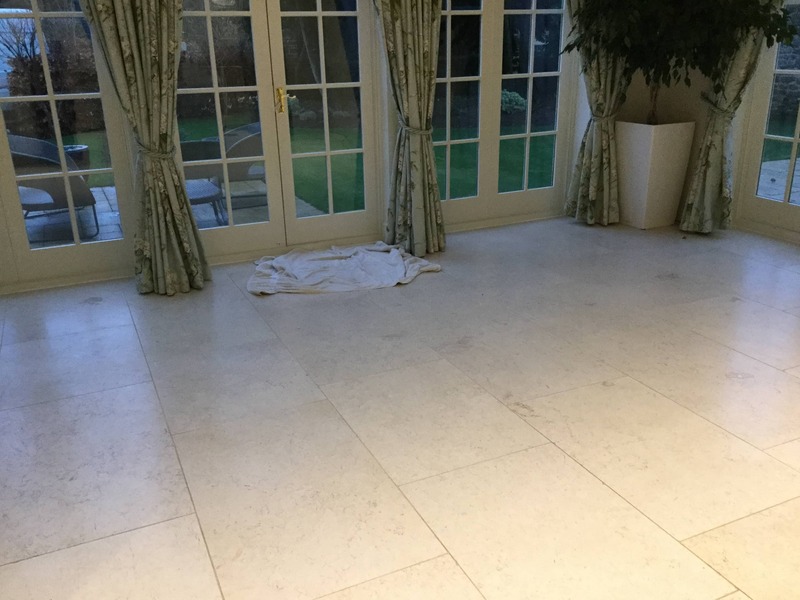 The floor was then left for about one hour to dry before working in Tile Doctor Shine powder with a buffing pad to give a really deep finish. 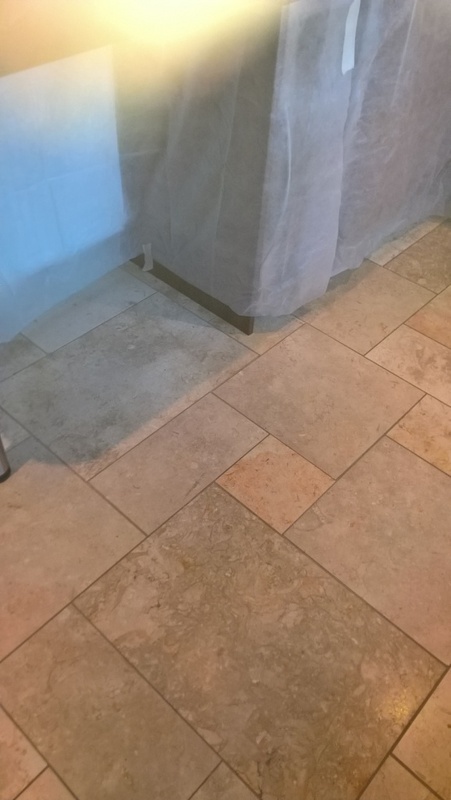 We were still not finished however; the grout was still looking grubby so we agreed with the customer to pop back the next day and apply Tile Doctor Grout Colourant in a Sandstone colour. 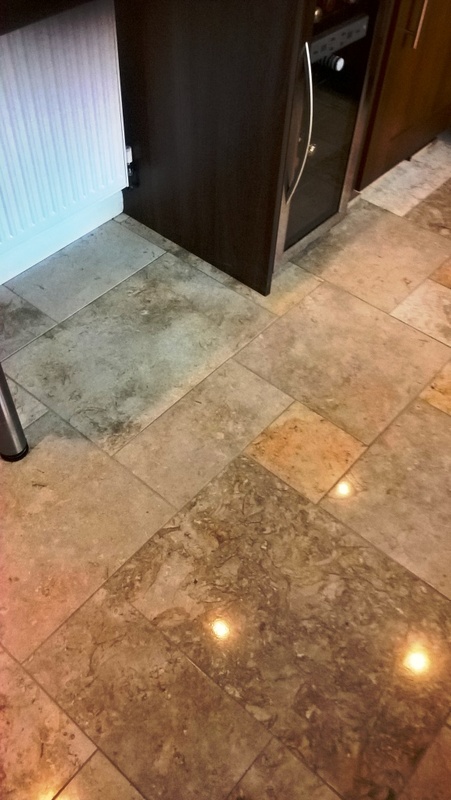 When we had finished the customer was very happy with the work we done and even commented that it looked better than when they first had the floor laid. 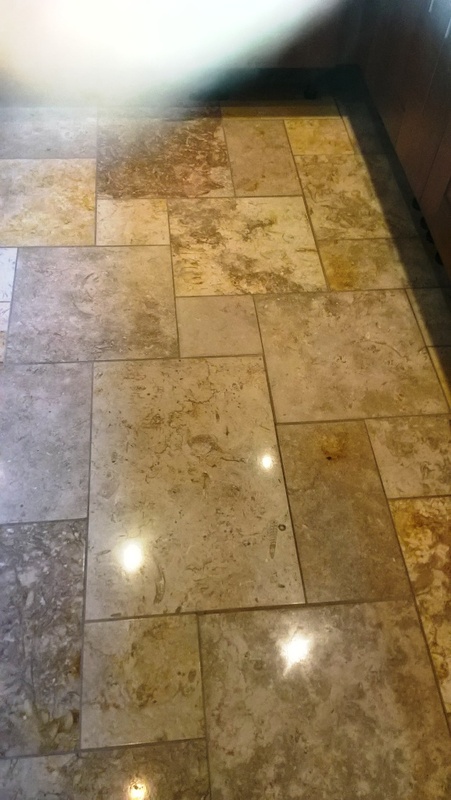 I recommended that for future maintenance and to extend the life of the sealer they should use Tile Doctor neutral cleaner, it’s a PH neutral cleaner and so is safe to use on sealed stone.